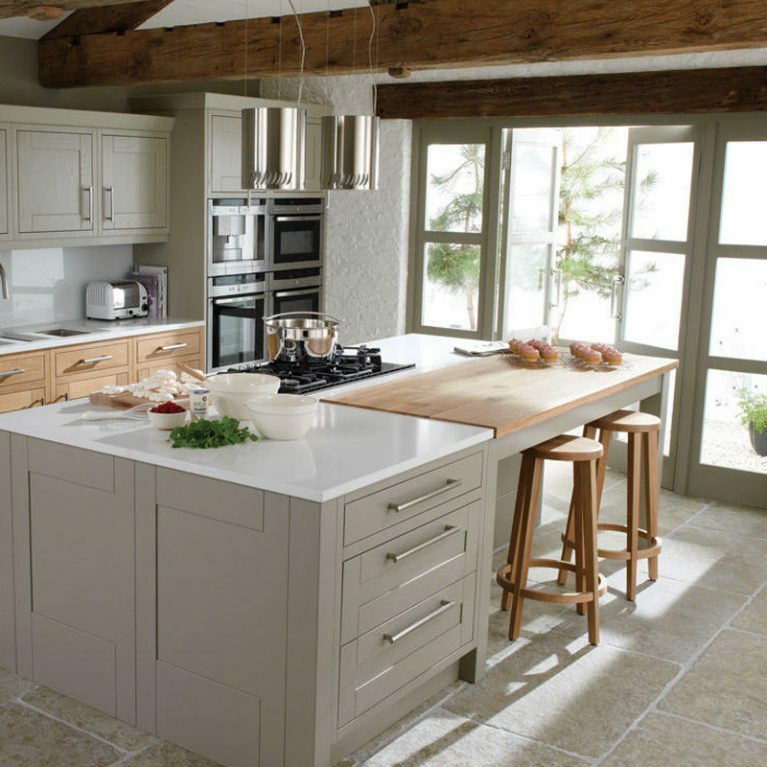 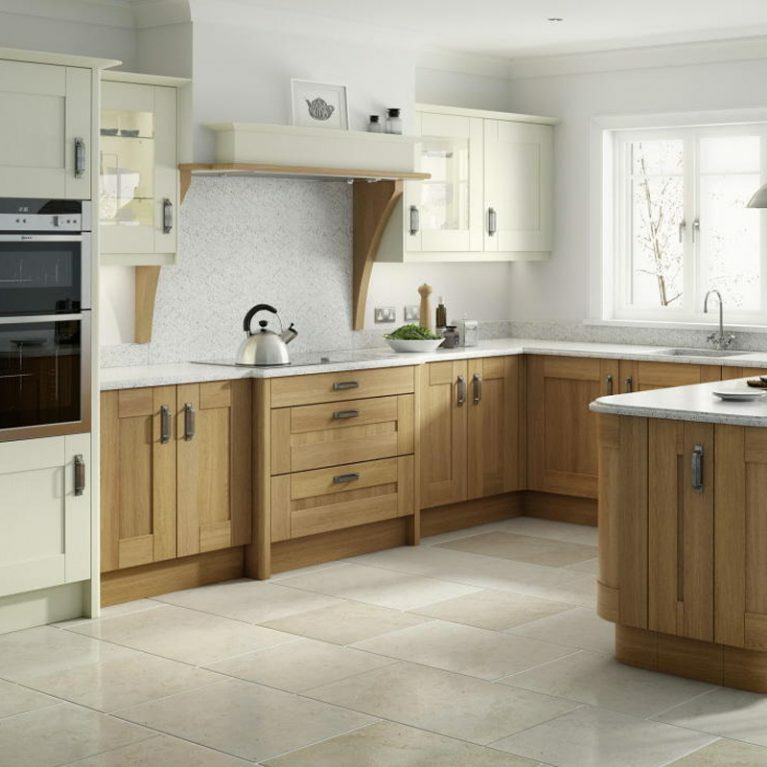 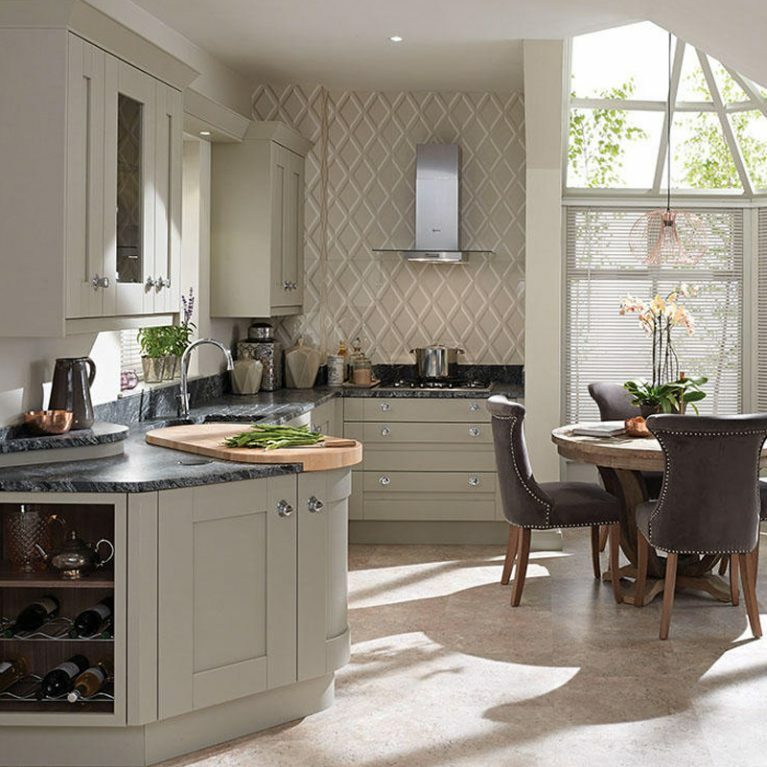 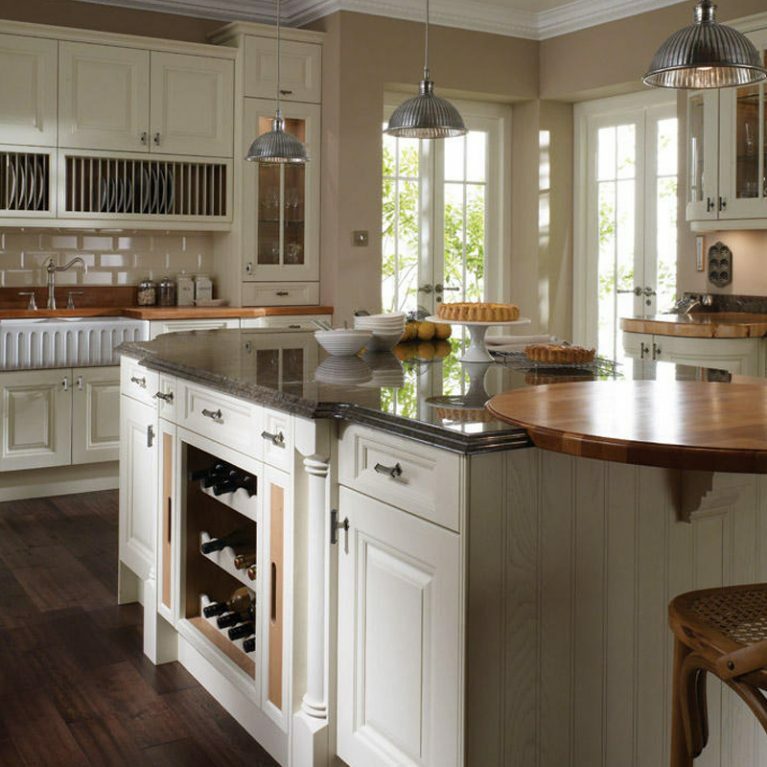 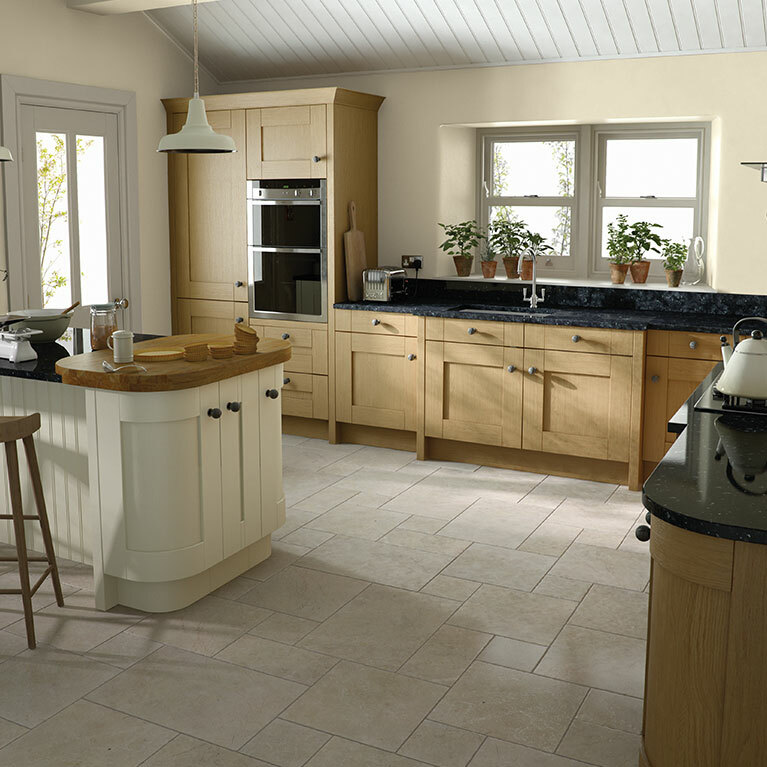 The Milbourne Alabaster is a beautiful classic shaker kitchen design with subtle nods to a more contemporary design, with the end result being a stunning kitchen design that will transform your home and retain its beauty for many years to come. 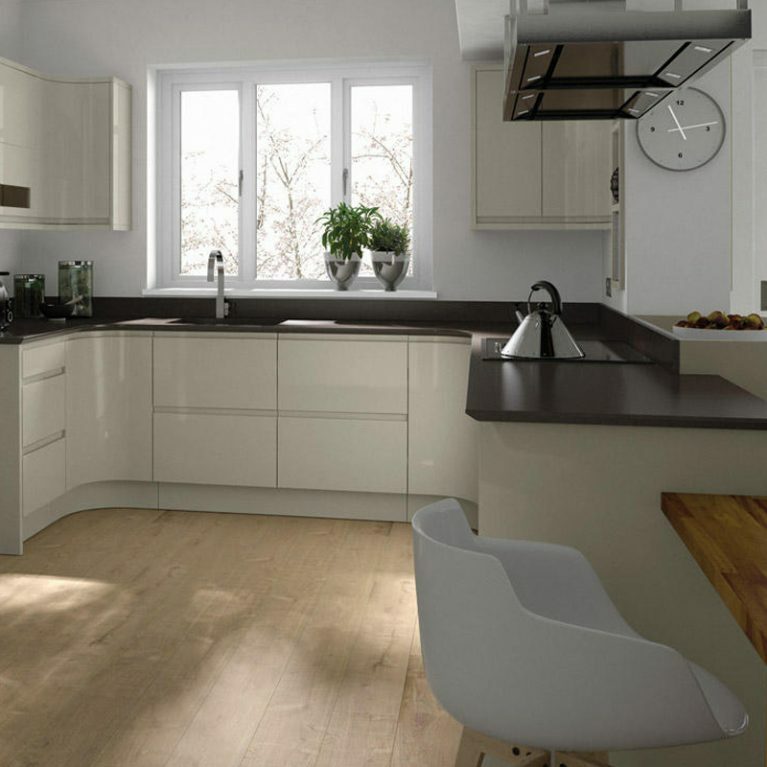 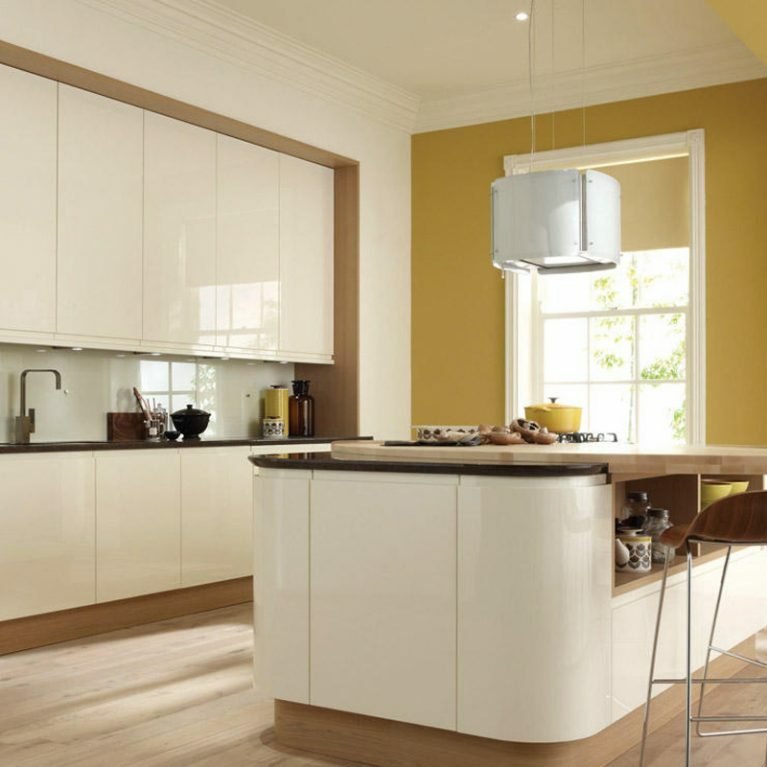 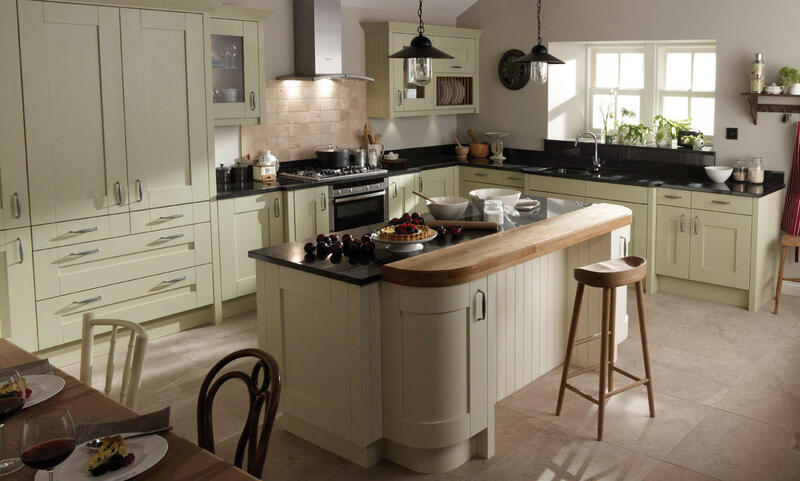 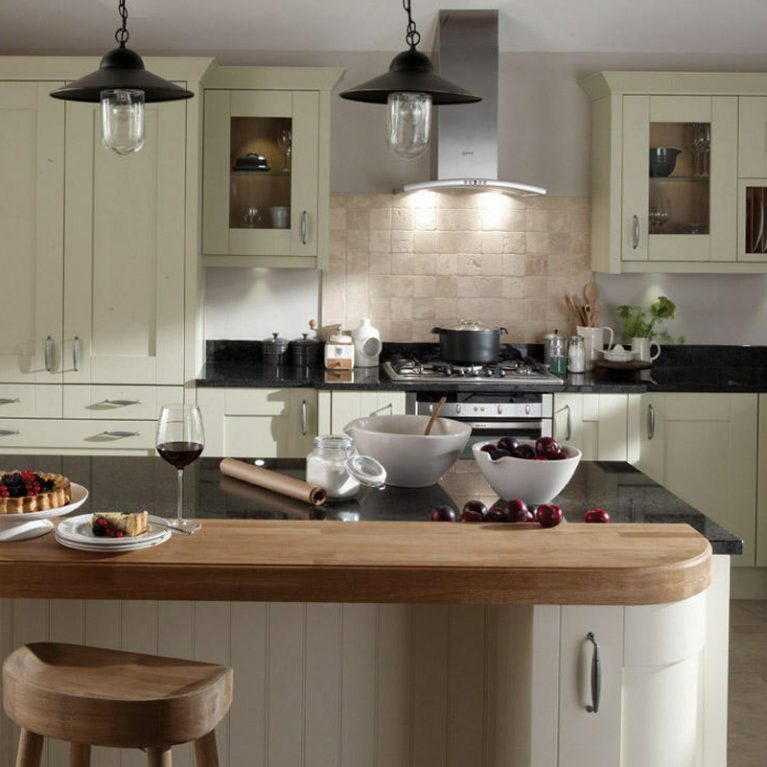 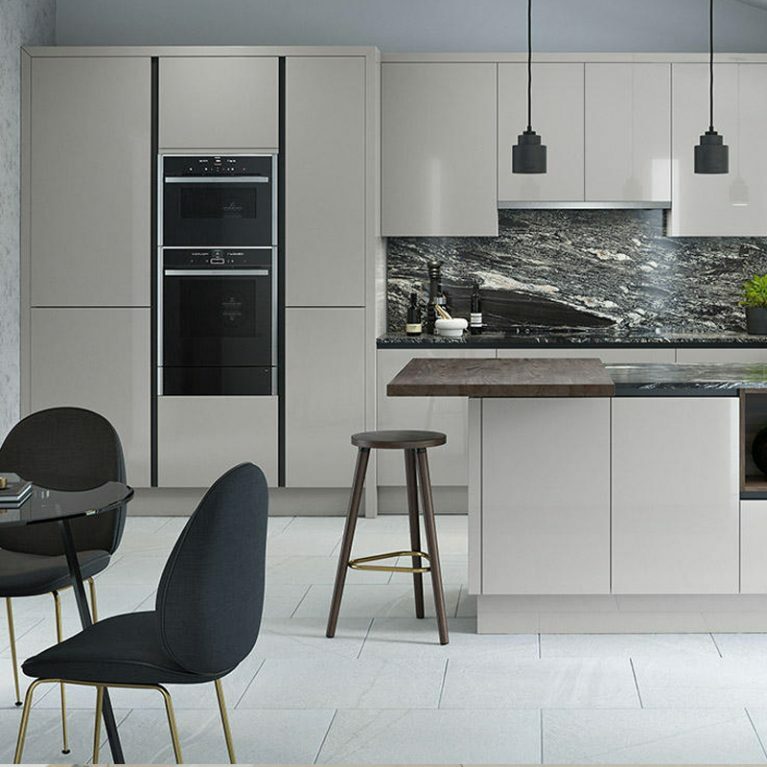 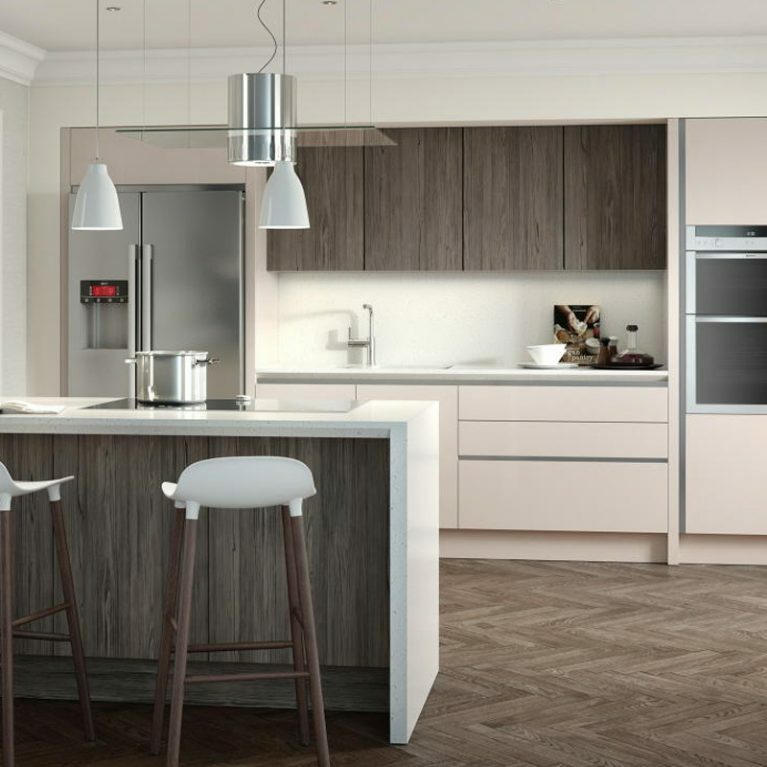 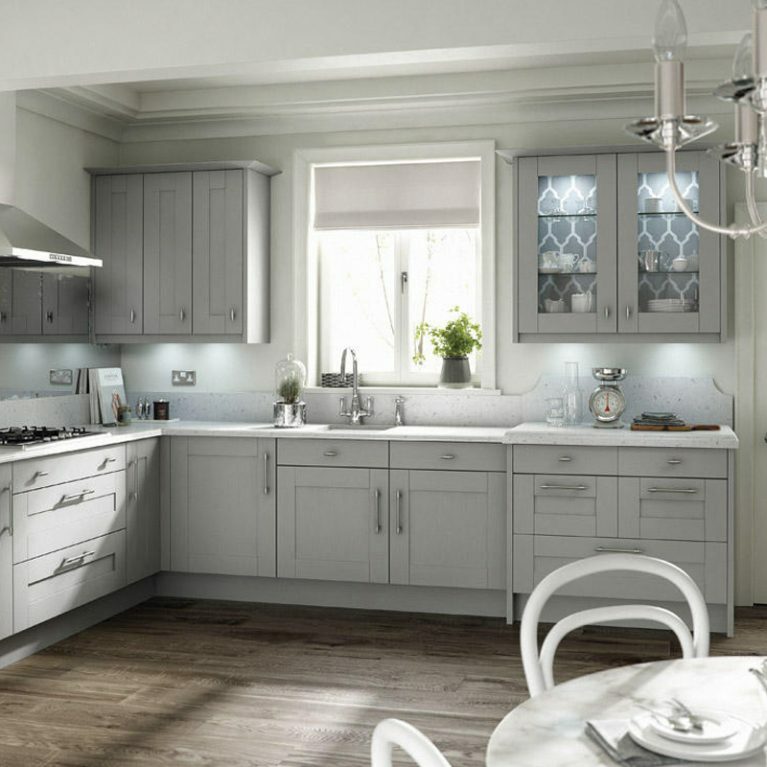 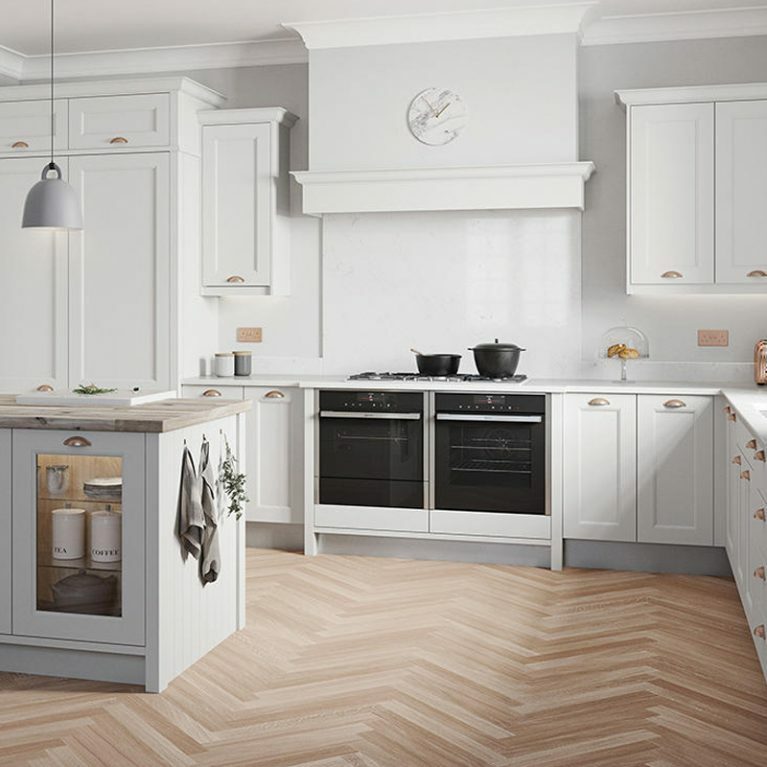 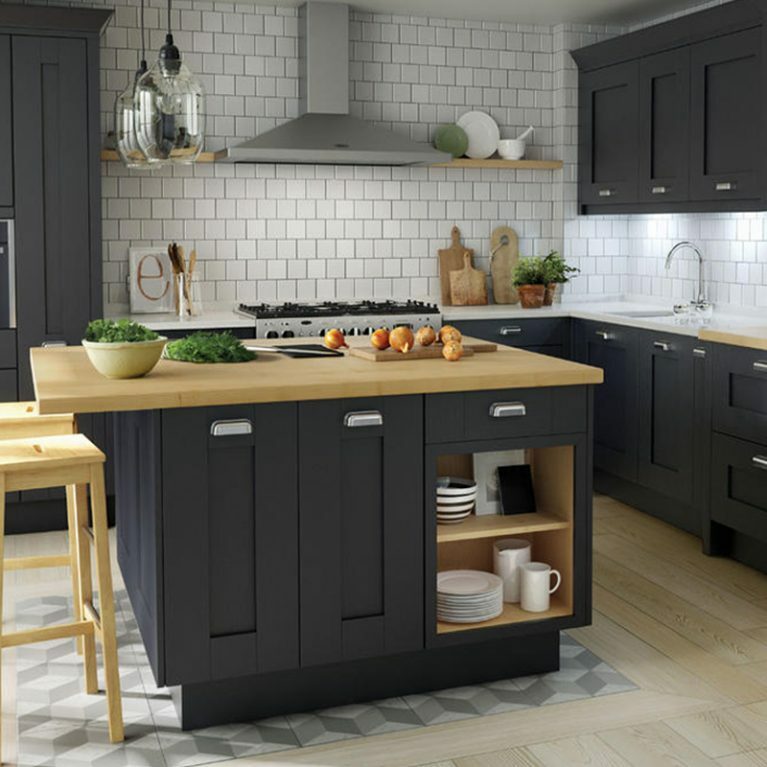 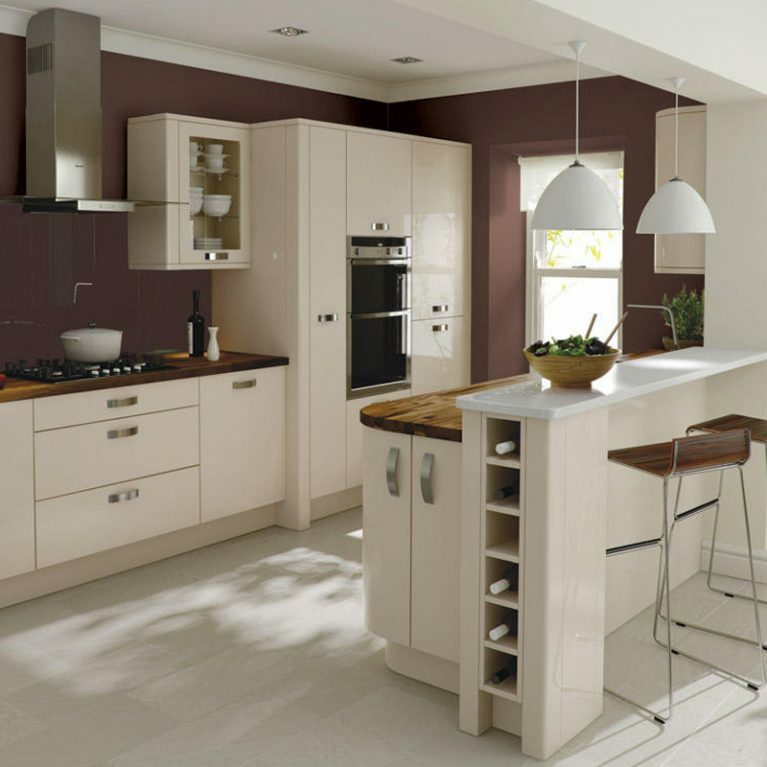 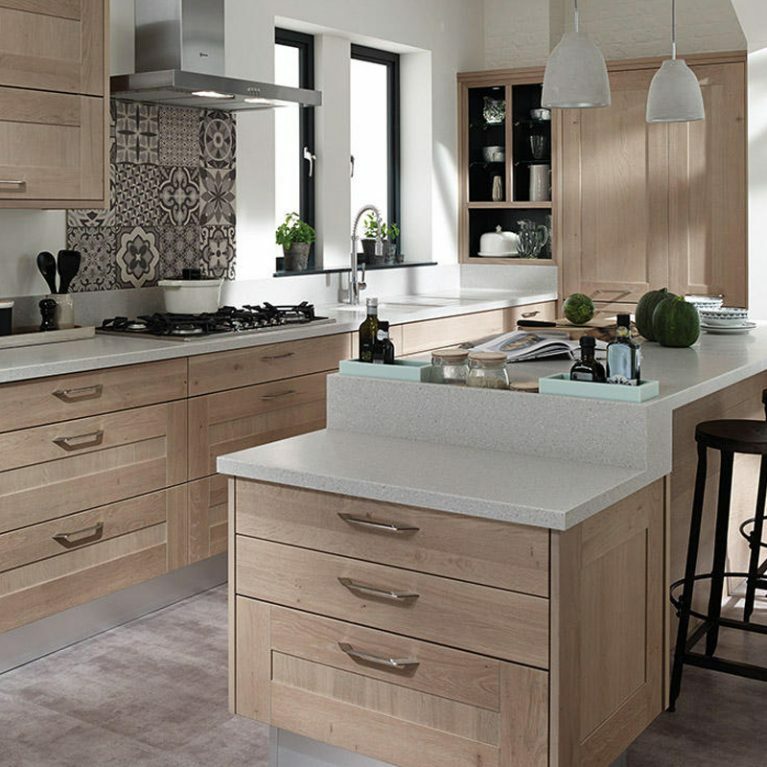 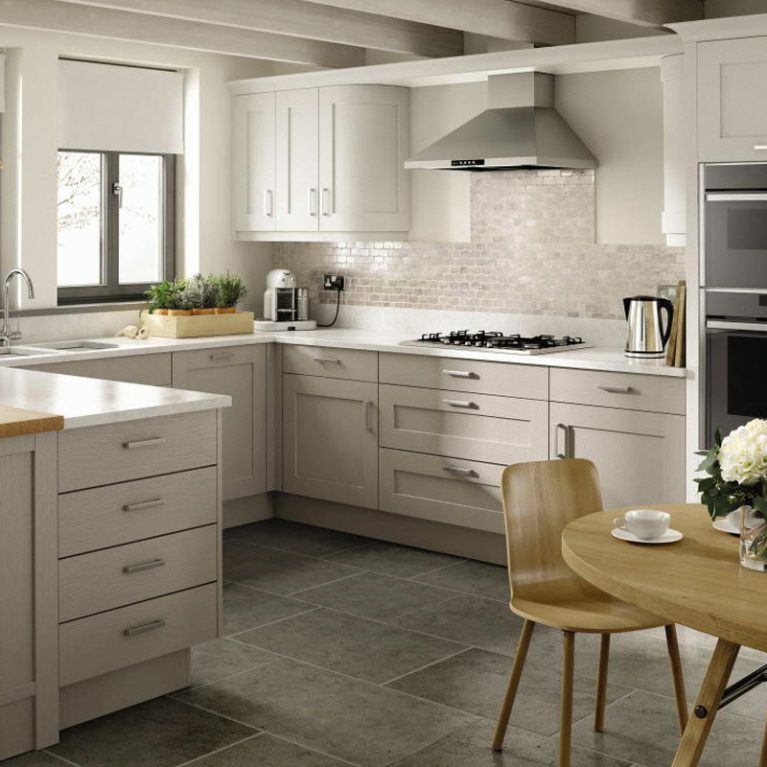 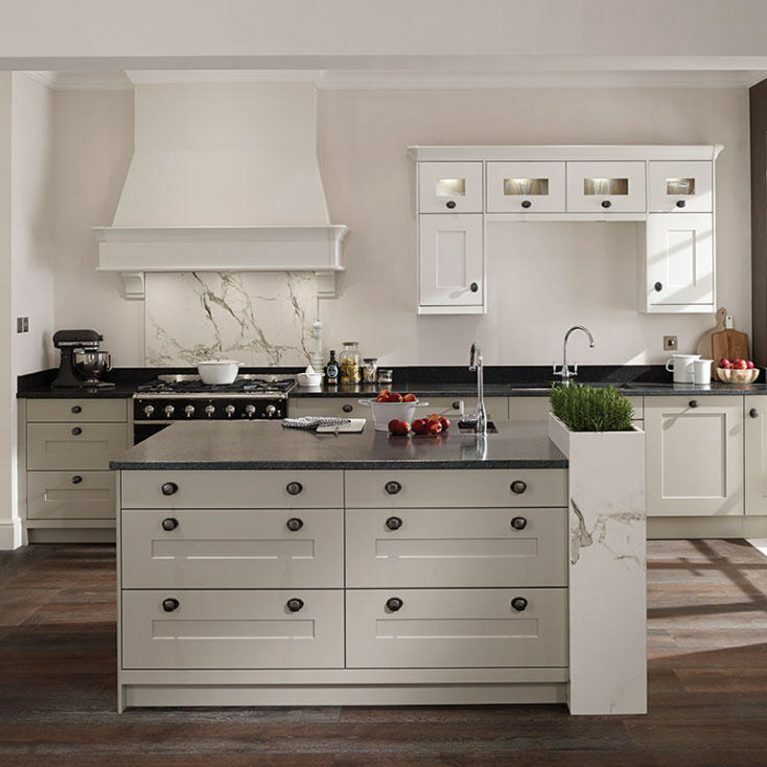 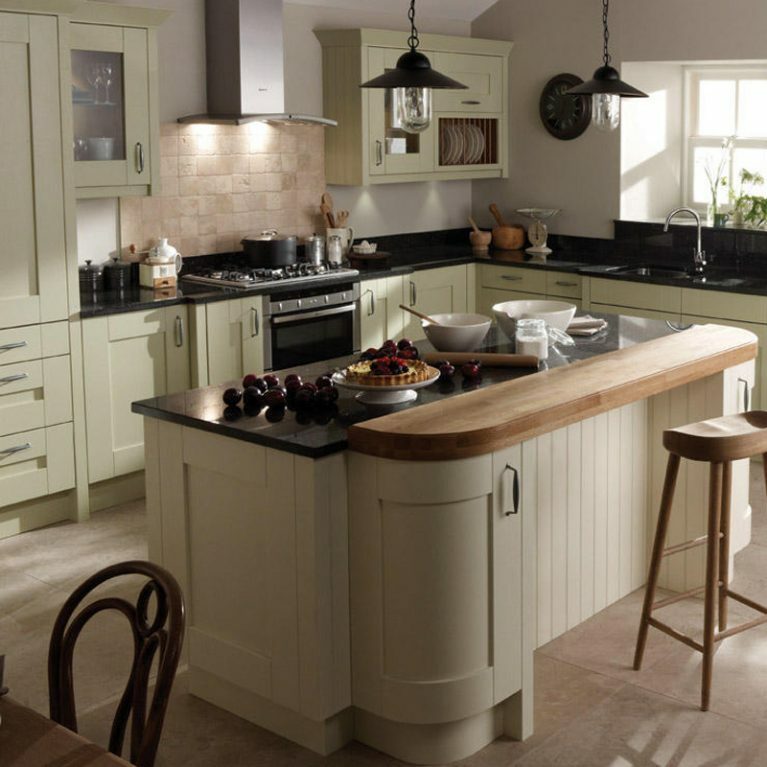 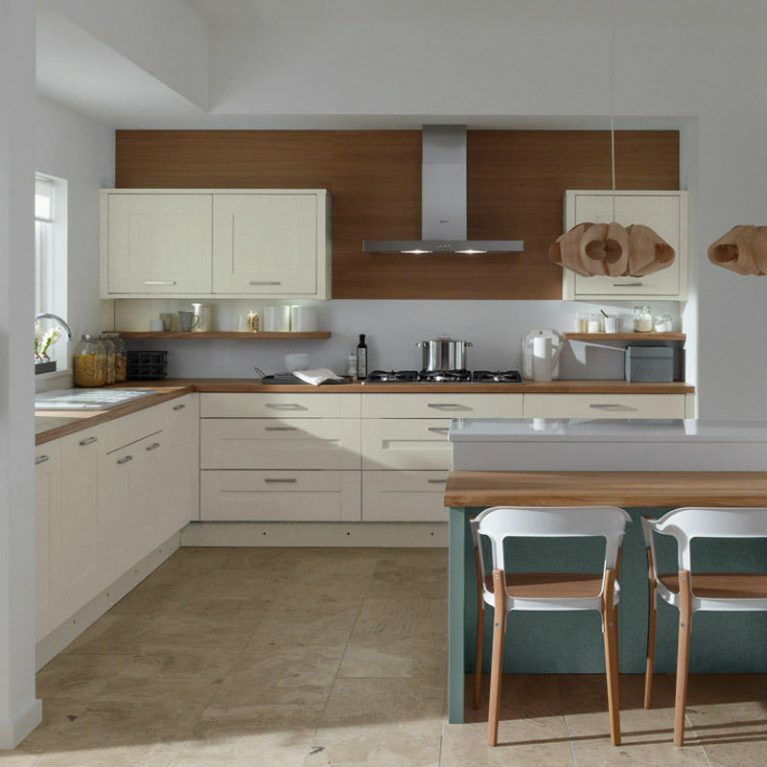 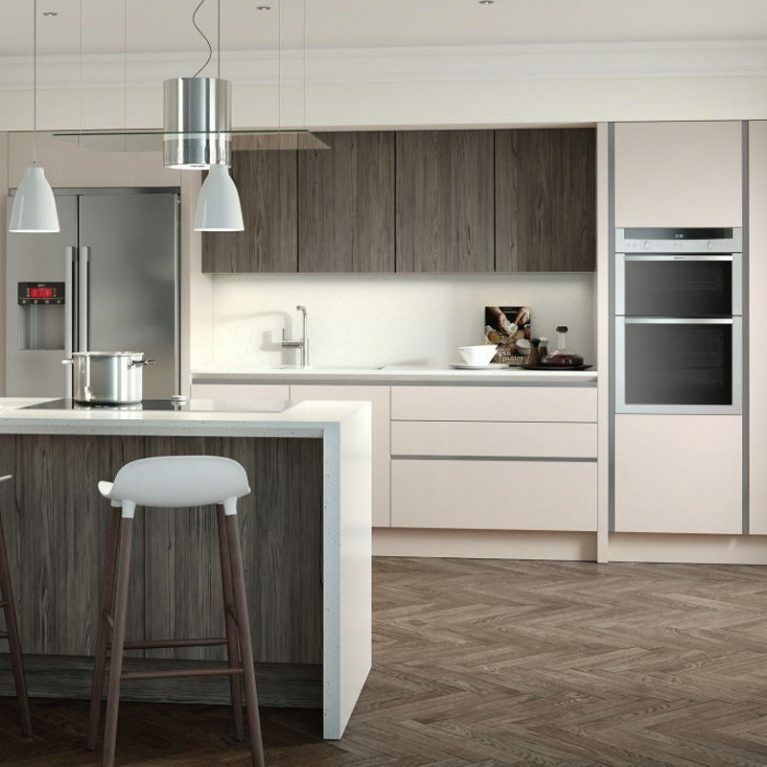 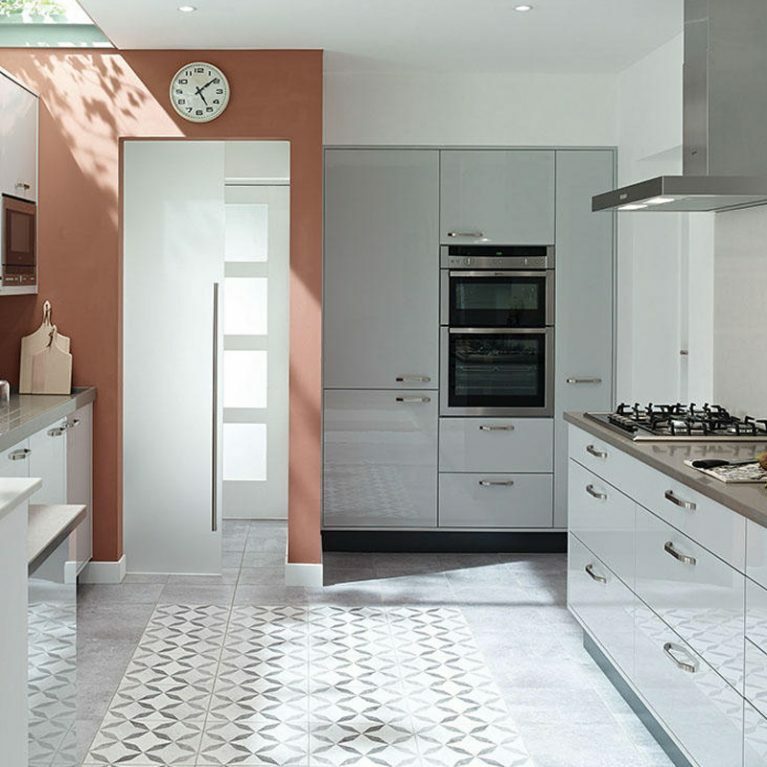 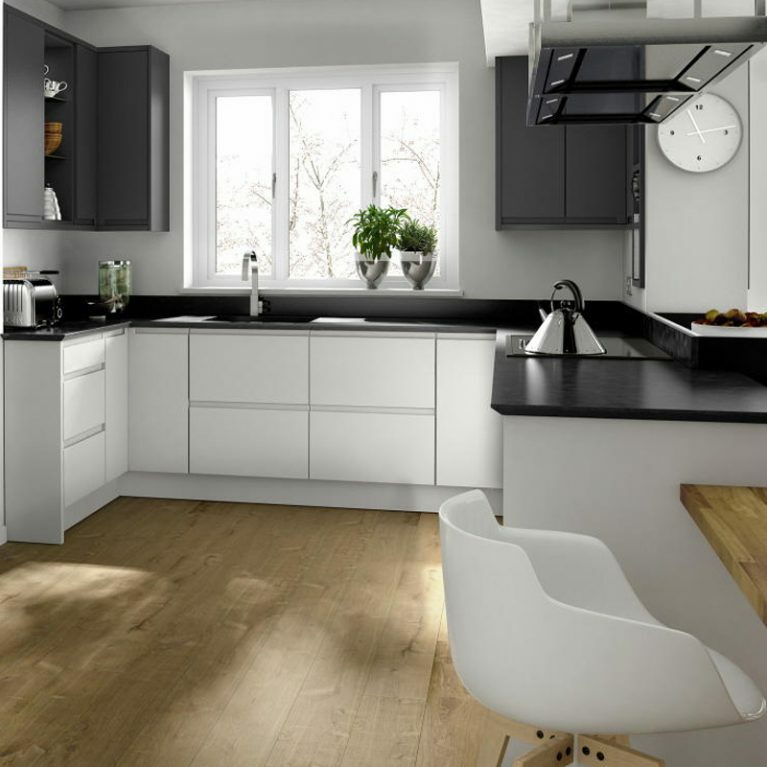 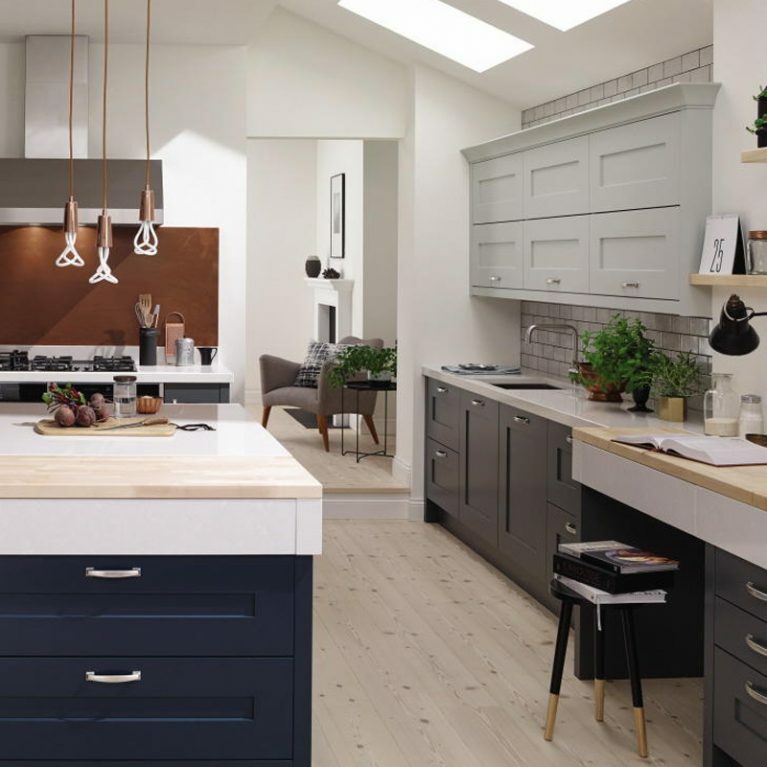 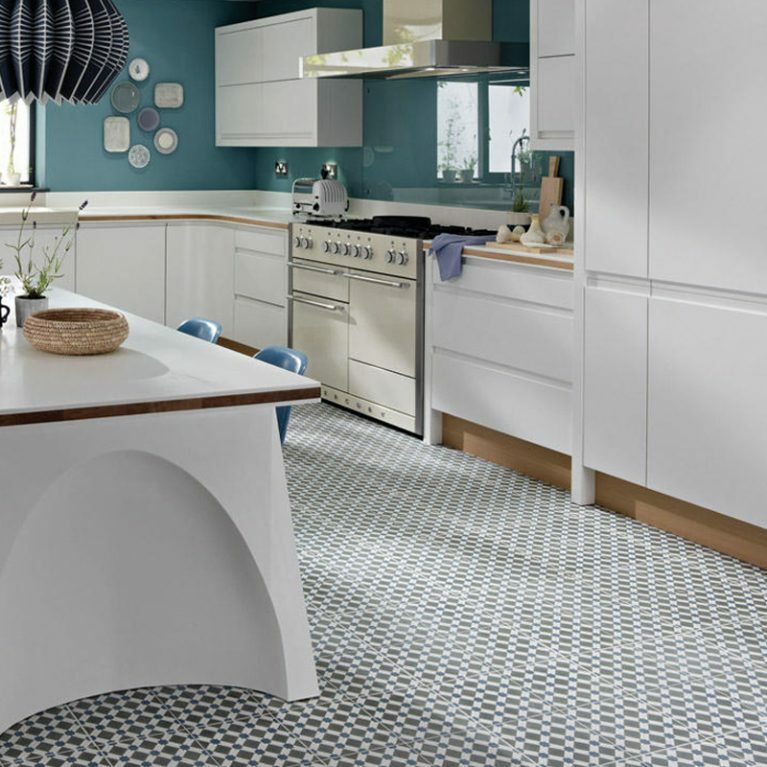 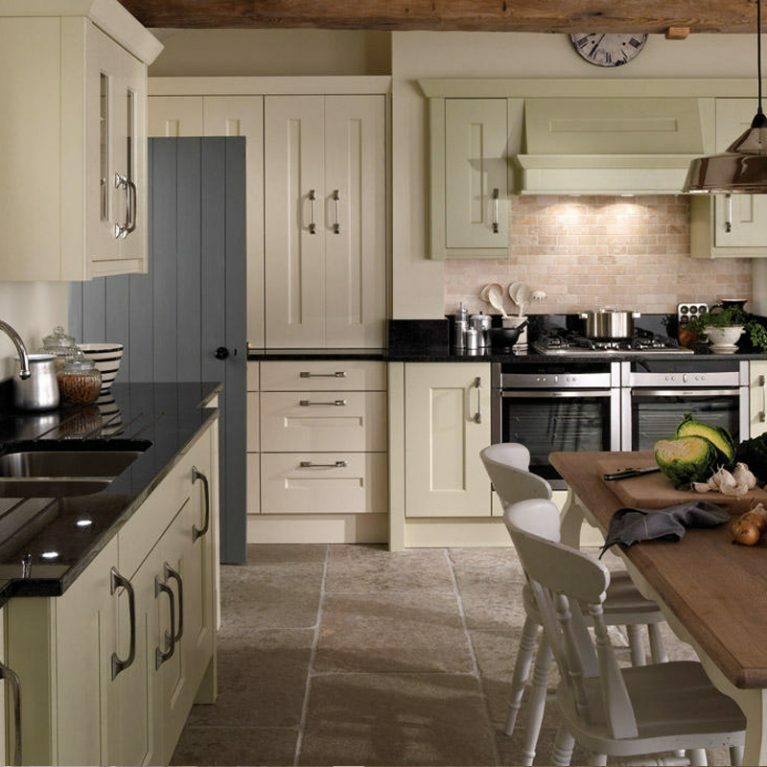 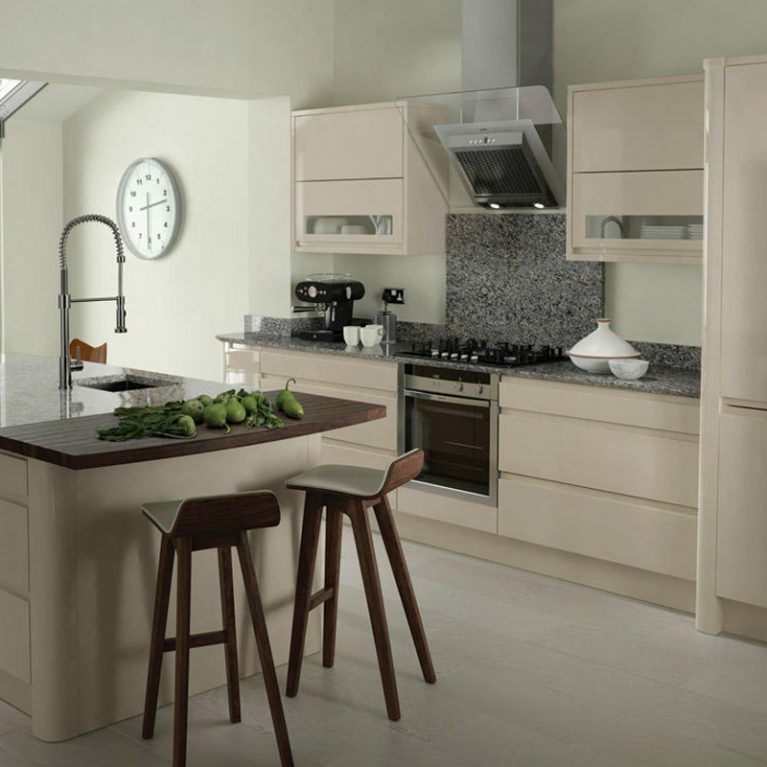 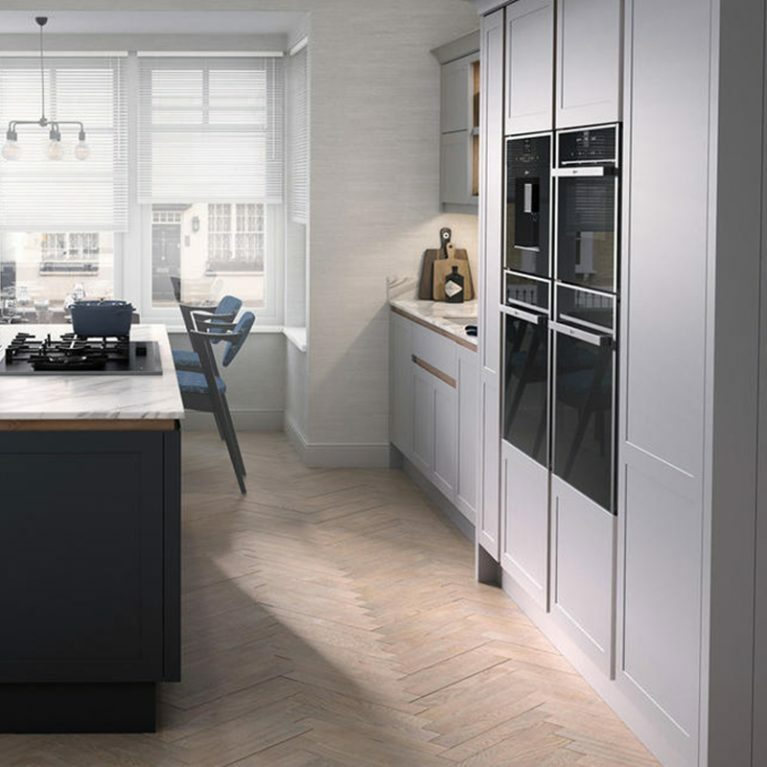 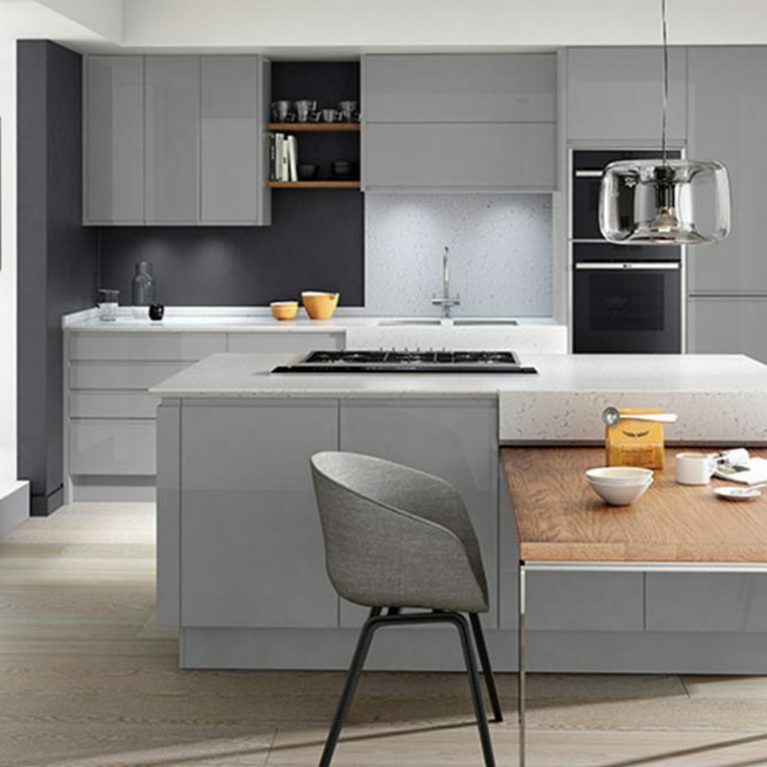 Available in 27 beautiful matte colours, the Milbourne Alabaster classic kitchen is completely customisable to meet your personal tastes, allowing you to choose your perfect hue and bring your Milbourne Alabaster kitchen to life. 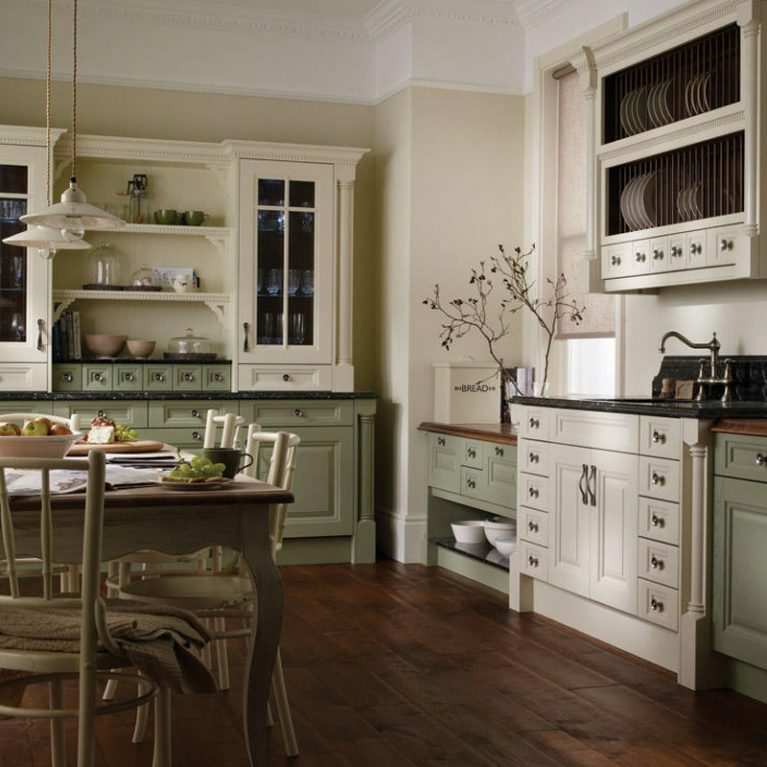 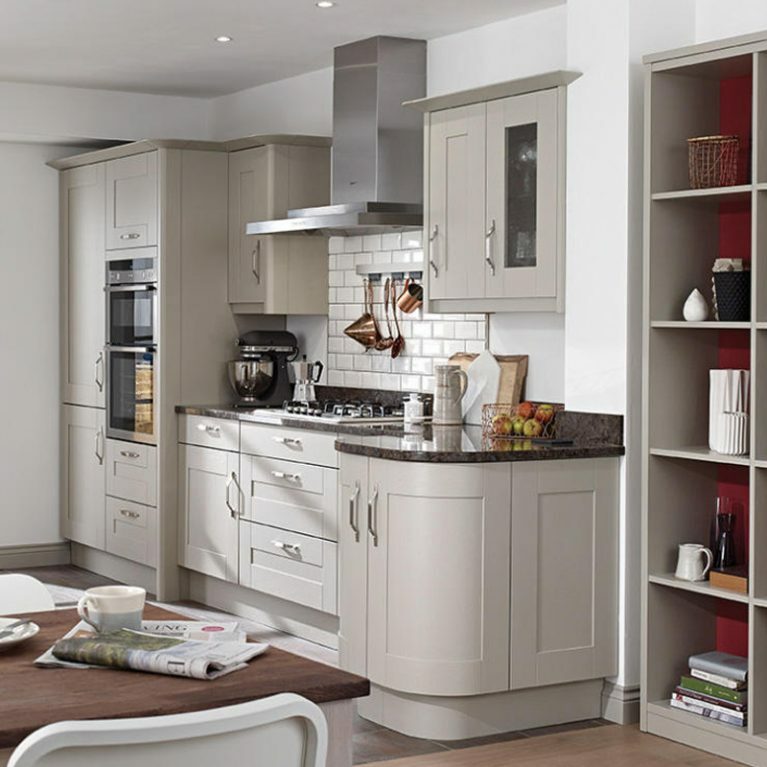 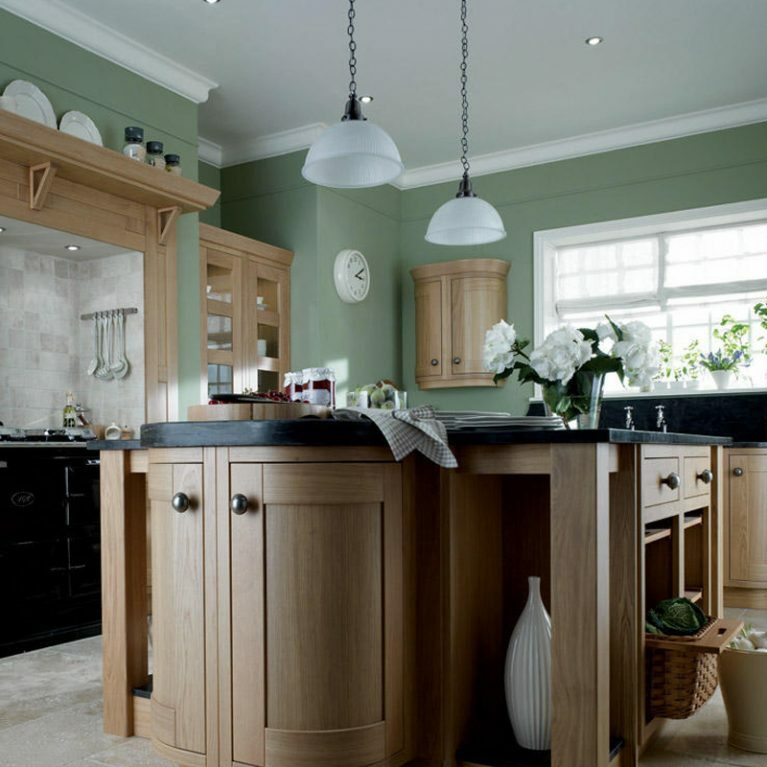 In a classic shaker style kitchen design, the Milbourne Alabaster truly makes the most of the space and offers an endless amount of storage opportunities. 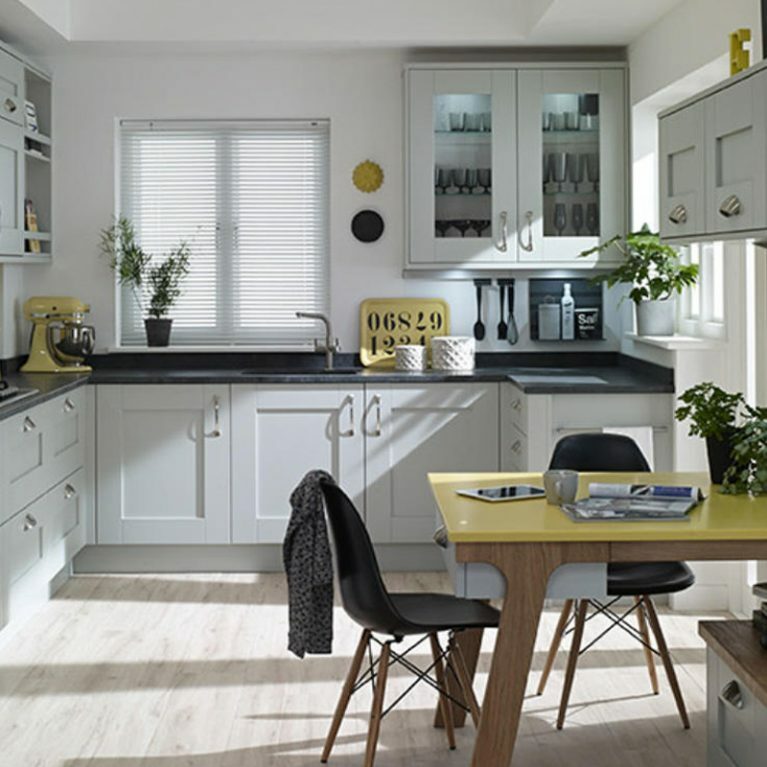 All of your kitchen accessories will have a home, and you’ll be blown away by the number of kitchen cupboards and drawers. 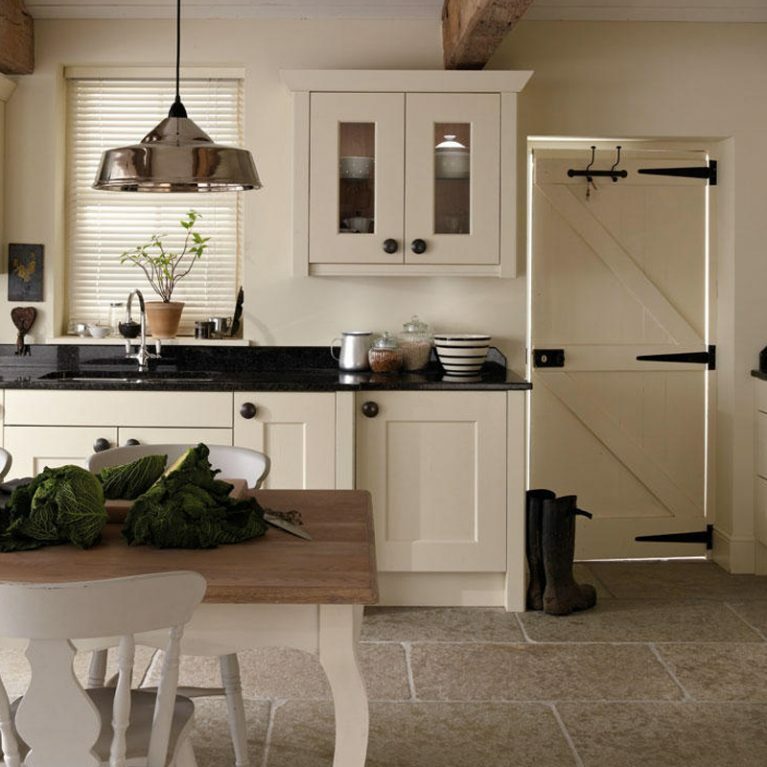 The shaker doors have a chunky frame and a cool, contemporary textured finish. 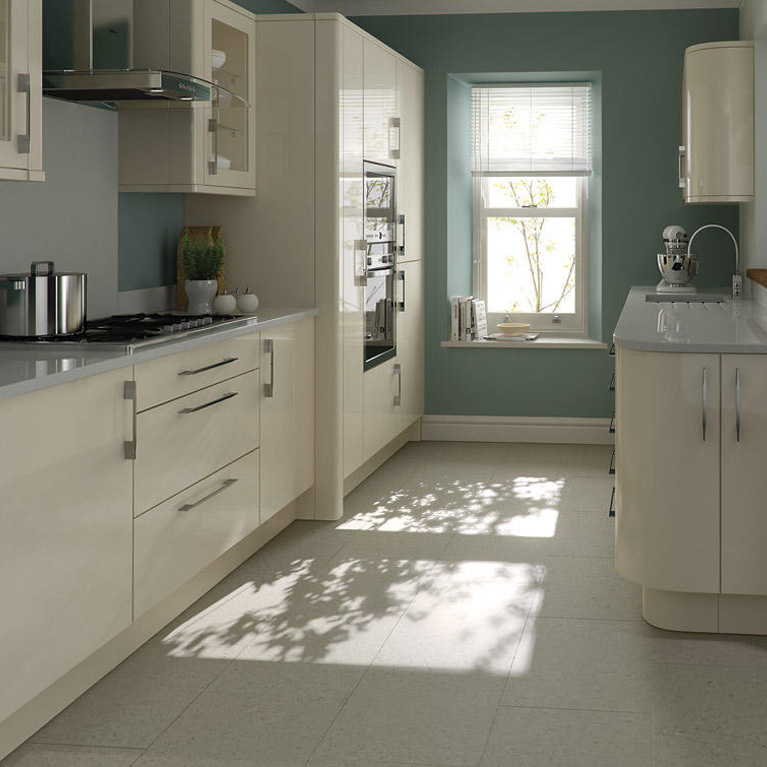 Alabaster is a gorgeous neutral shade which is the perfect foundation for creating your dream kitchen design. 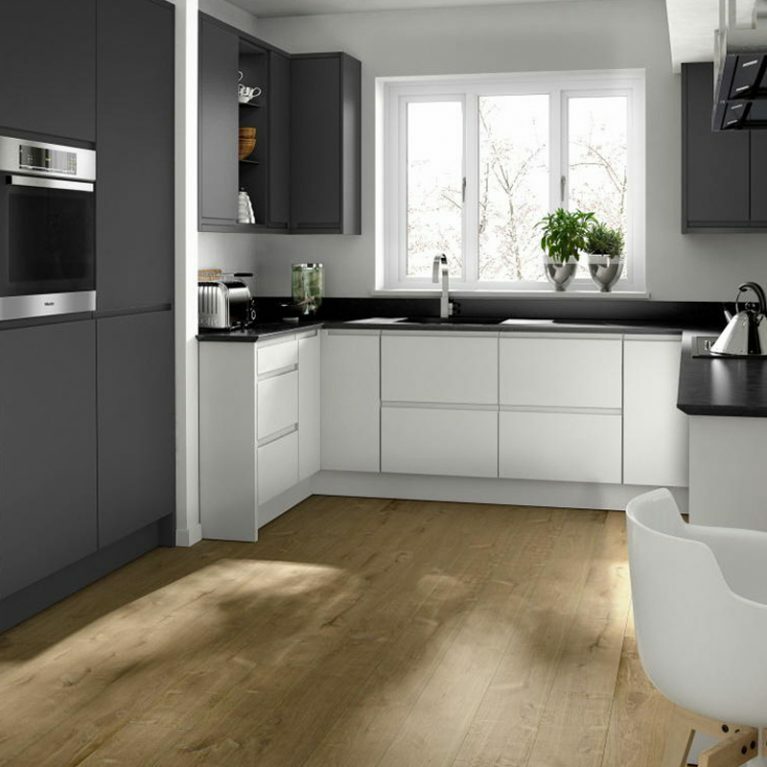 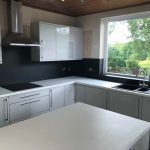 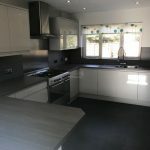 It looks particularly stunning with the glossy black kitchen work surface for a cool, contrasting finish. 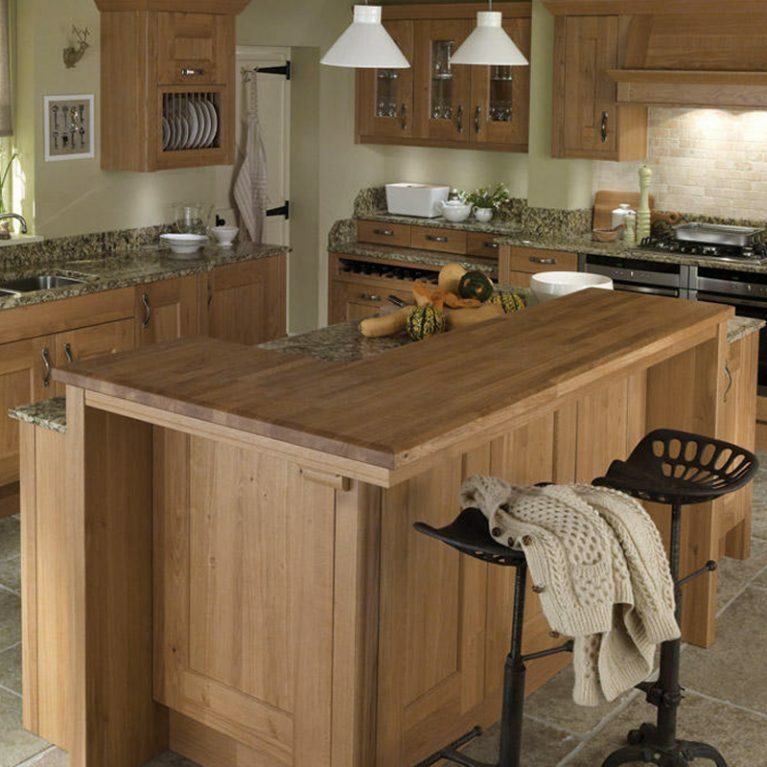 However, you can choose whatever style work surface you like to bring your dream kitchen to life. 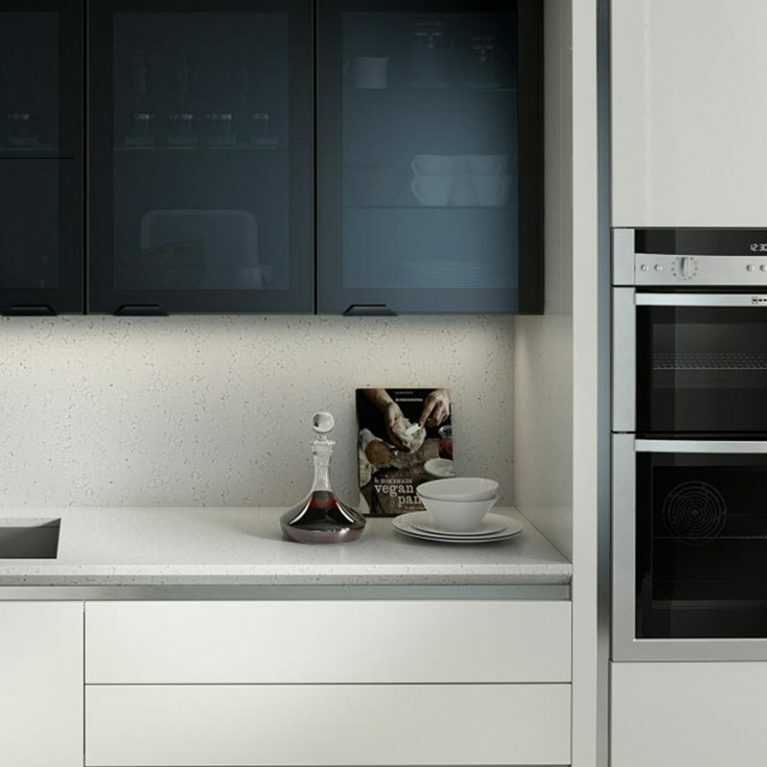 With a host of different cupboard spaces both upper and lower, as well as a dish rack to slot all of your dishes in, you’ll find that all of your kitchen accessories have a home with your Milbourne Alabaster. 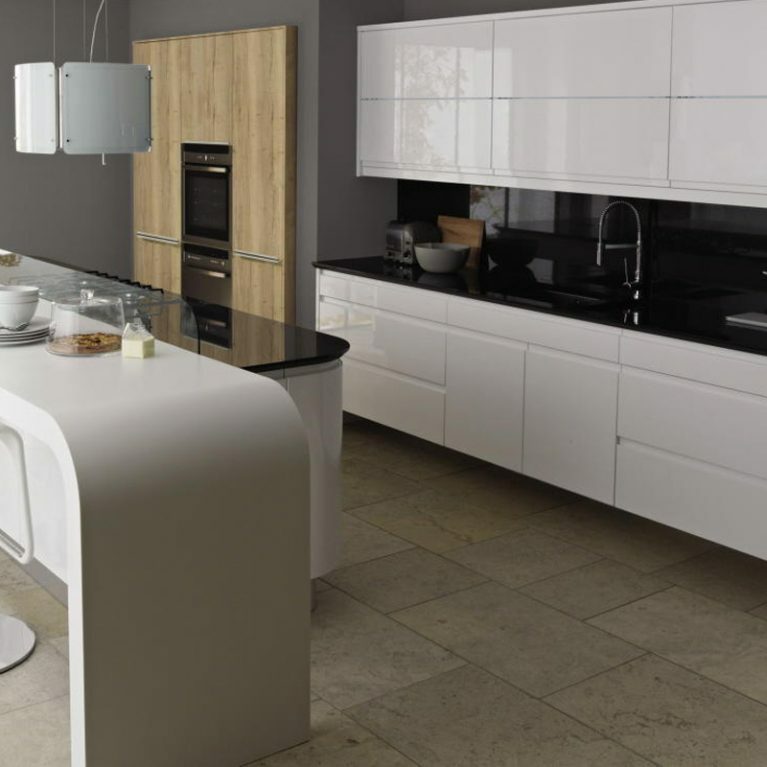 Not only this, but the wonderful island creates the perfect peninsula for food preparation, entertaining and enjoying. 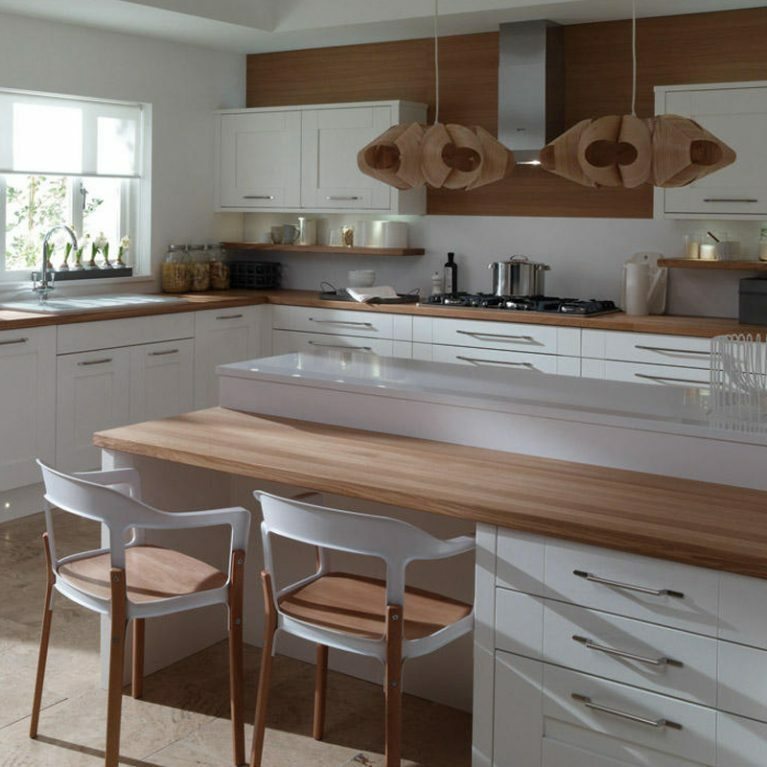 You can pop stools along one side to create a cool and modern breakfast bar setting too. 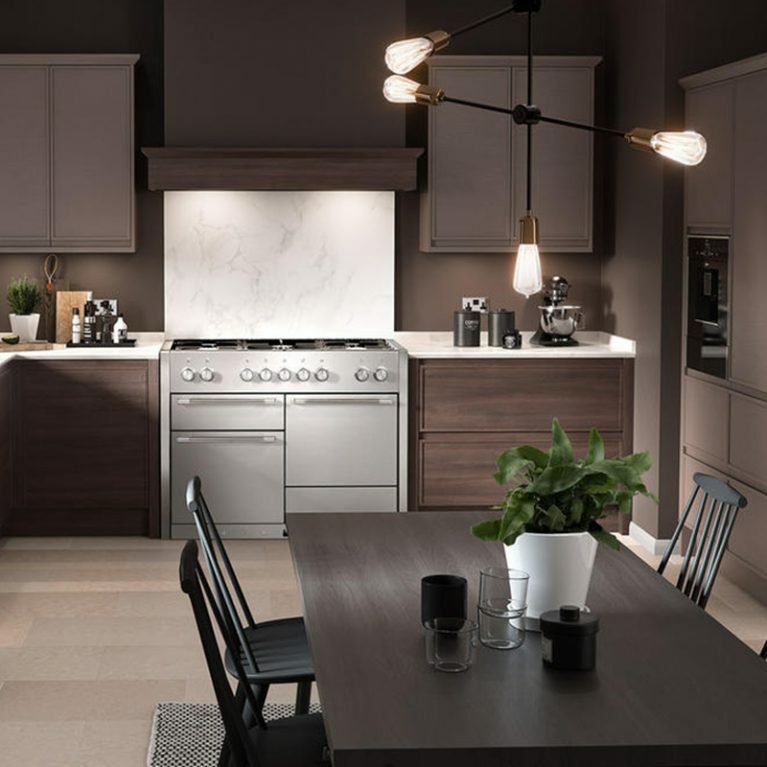 Finished with a chrome faucet and sink area, the Milbourne Alabaster classic kitchen contains everything you could possibly need from your kitchen design. 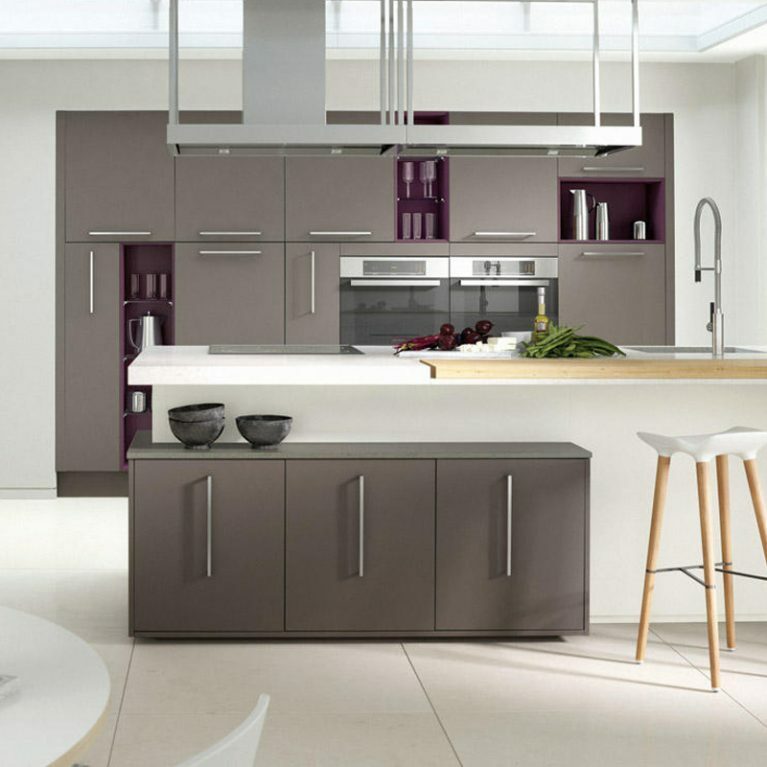 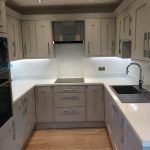 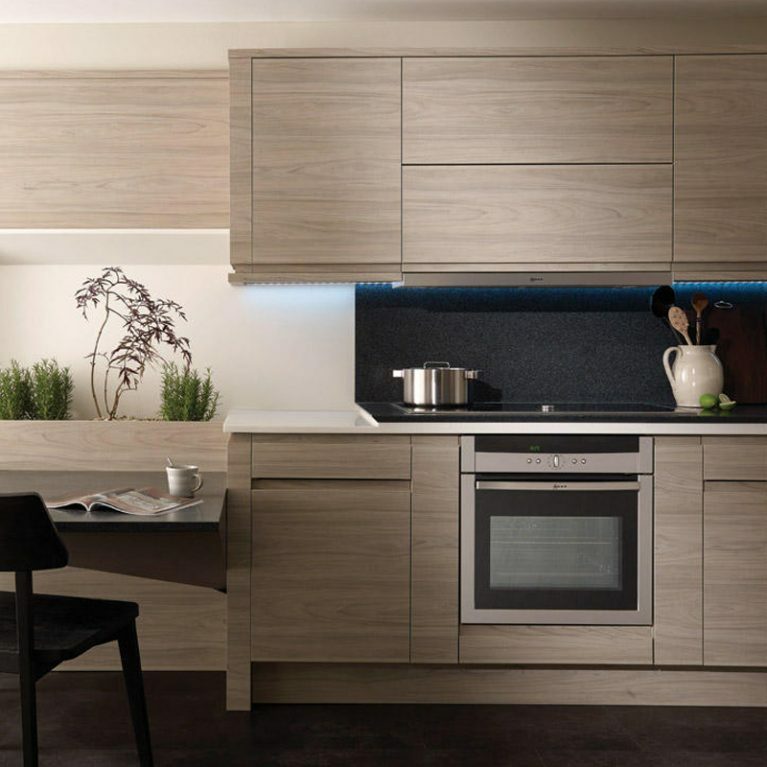 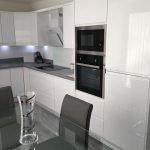 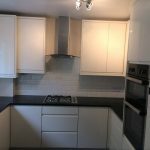 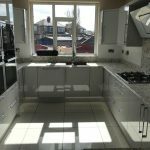 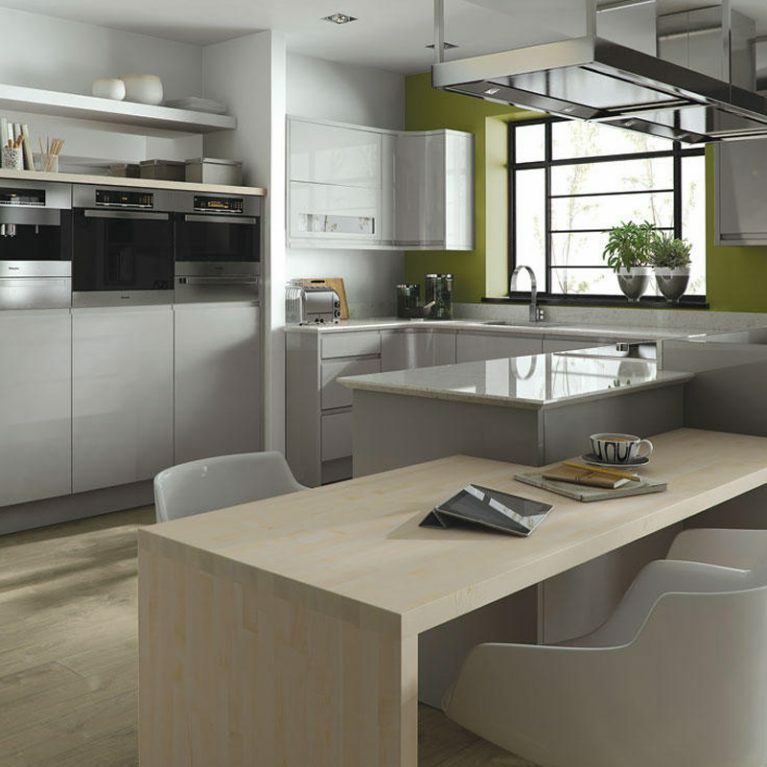 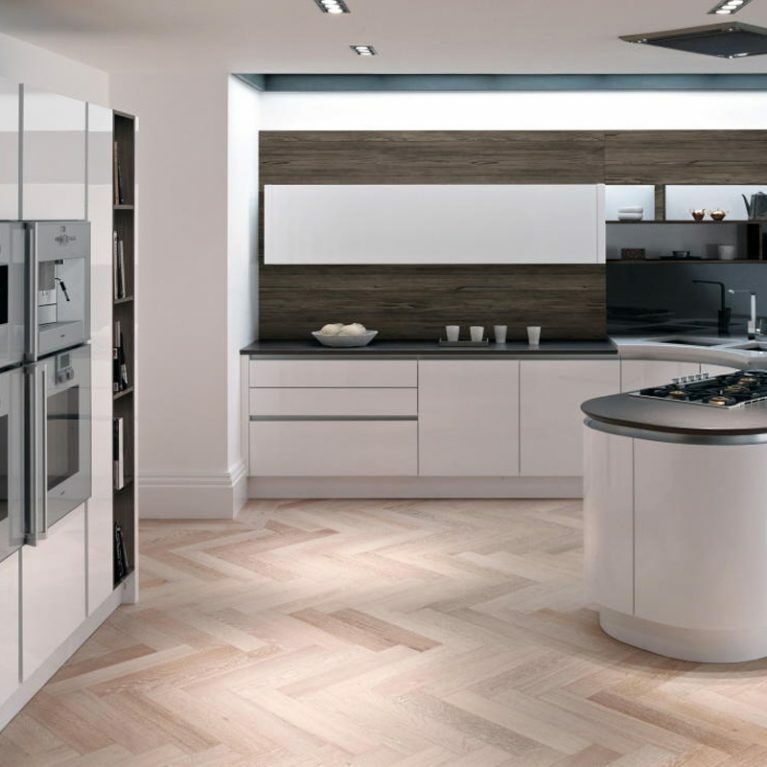 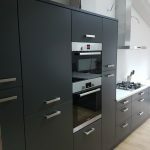 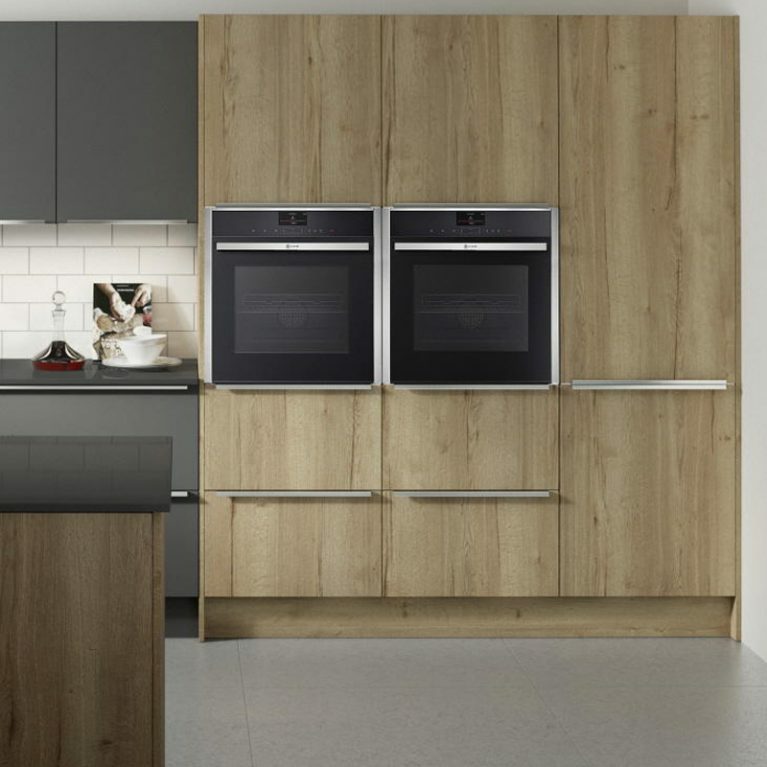 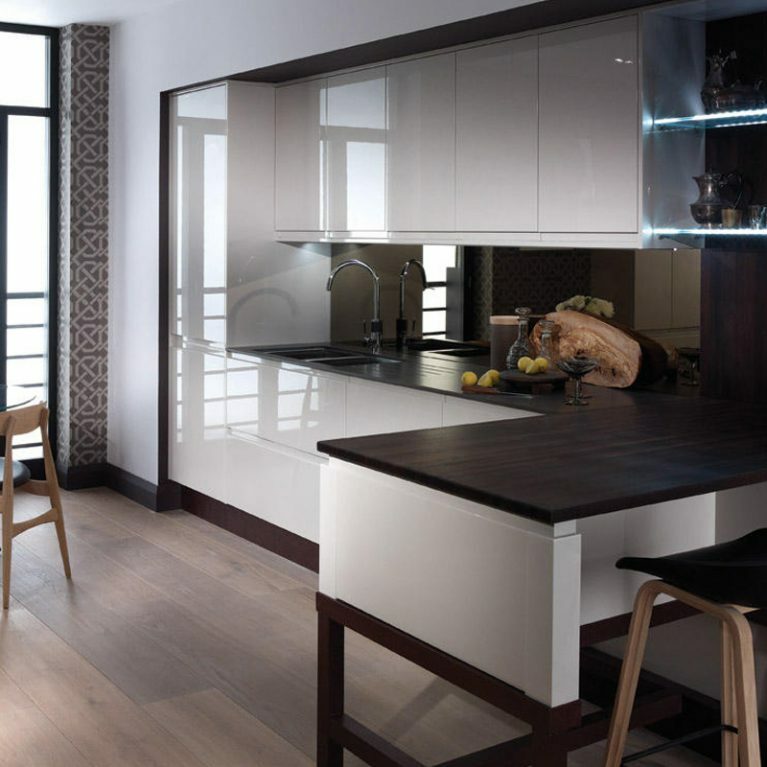 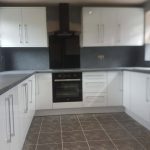 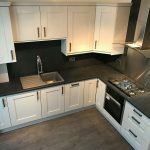 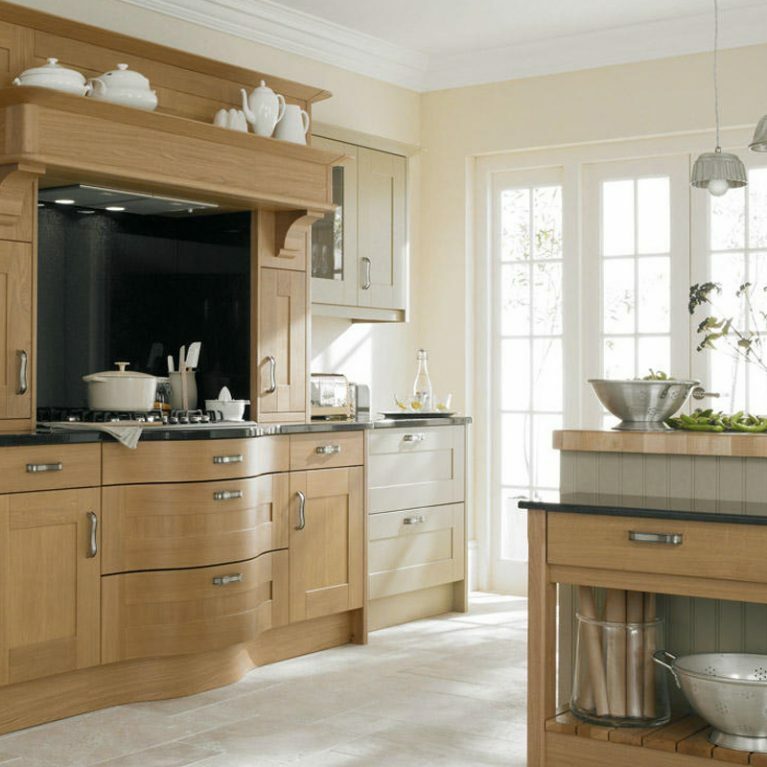 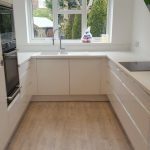 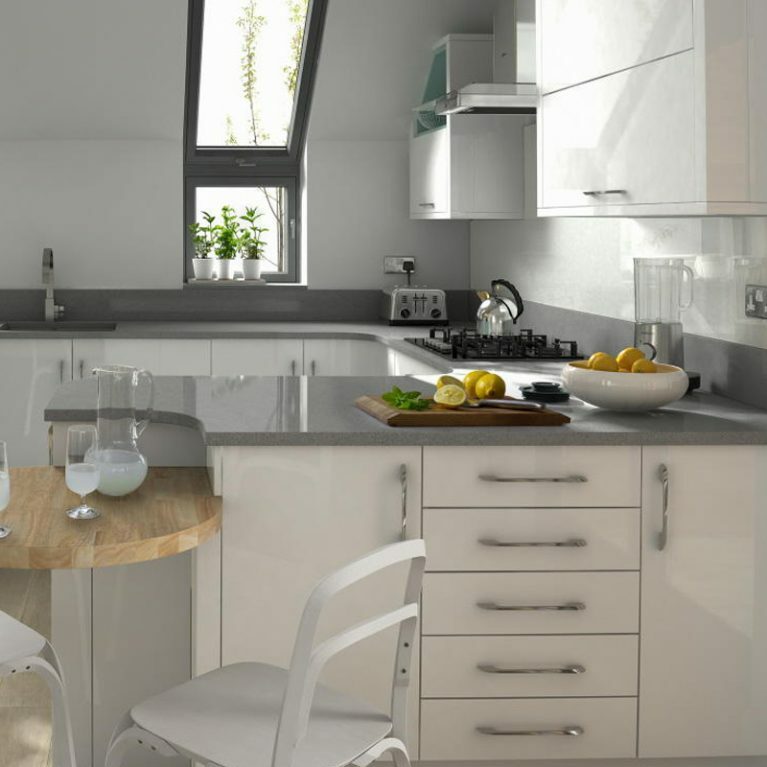 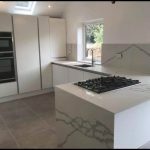 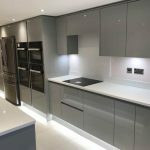 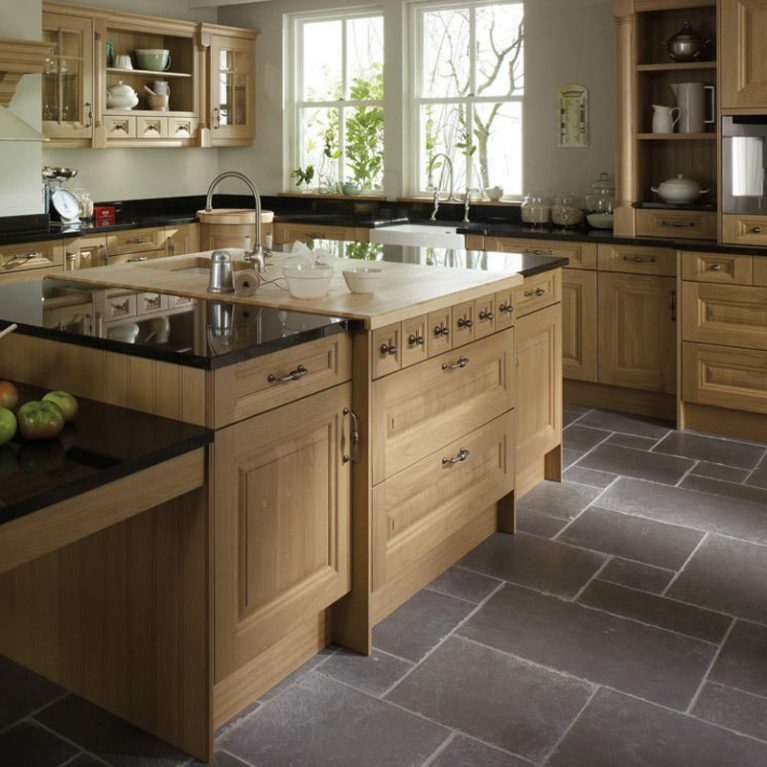 As with all of Number One Kitchens Manchester’s kitchen solutions, you can customise it so that it’s absolutely perfect for your home. 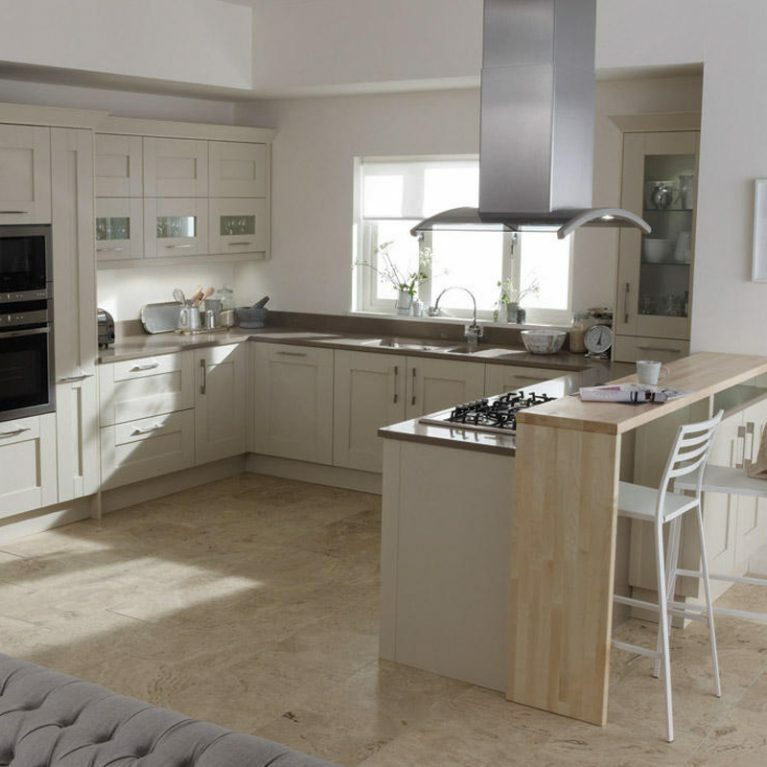 Get in touch today to see how we can help bring the Milbourne Alabaster to your home.